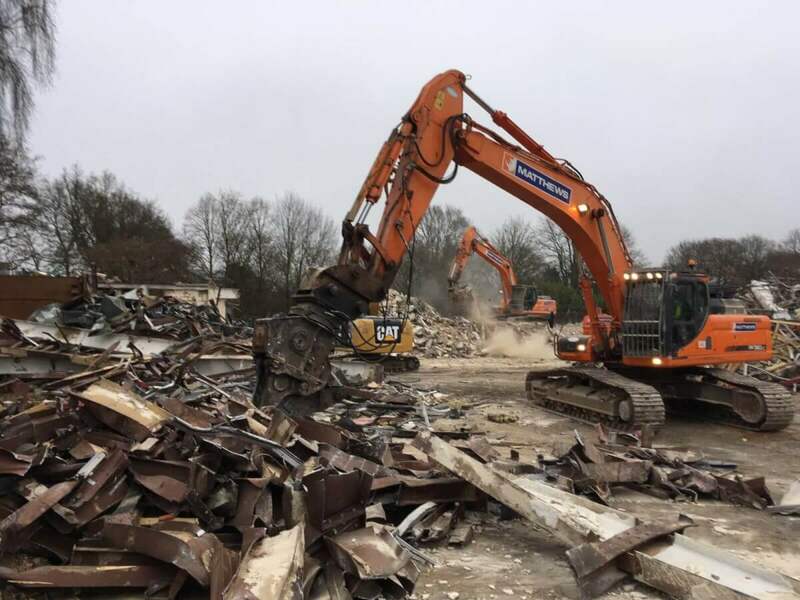 Matthews Demolition has undertaken the complete demolition of Oakdene Court in Winnersh, Reading to make way for the development of a brand new Premier Inn. The project was completed over a period of 9 weeks. The new Premier Inn will be a four-storey hotel with a restaurant seating 190, Costa Coffee drive through and a 188 space car park. Winnersh is a popular stop off the M4 between London and the West Country. This will be the 5th hotel in the village. 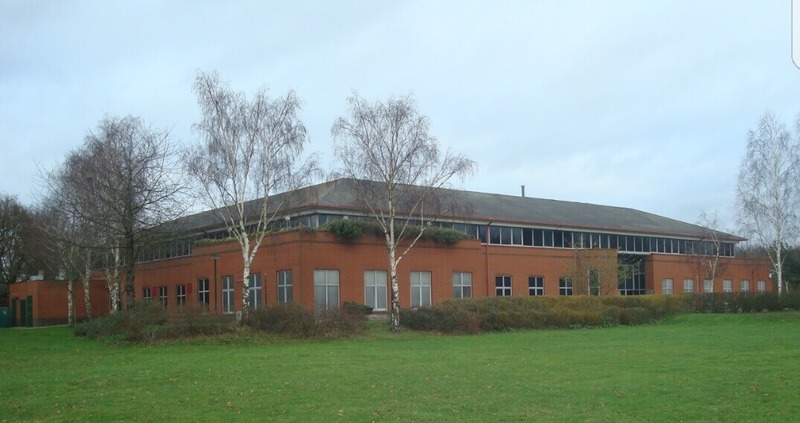 The new building will be on a smaller scale than Oakdene Court, previously home to British Biotech Services. The site has been vacant since 2012 and the redevelopment will provide 76 new jobs in the area. 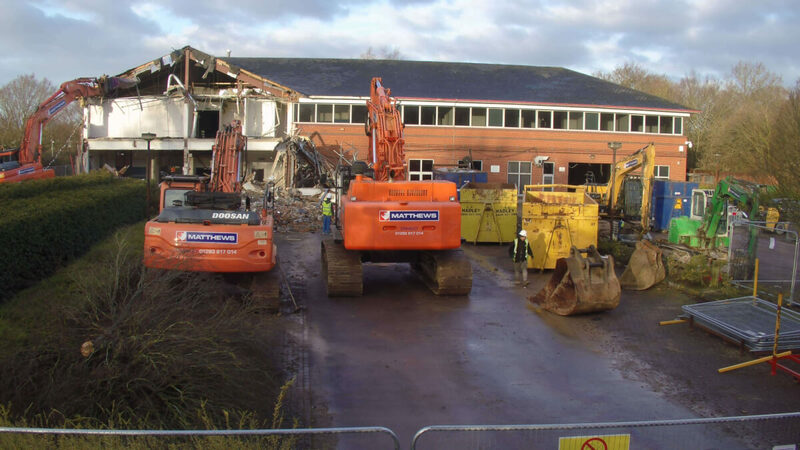 With many sensitivities to contend with Matthews Demolition started by removing the asbestos containing materials, a major soft strip of the scientific laboratories, rest areas and office space was then undertaken prior to a fleet of demolition excavators being brought in to site to carry out the demolition. This large research building was a brick structure with a steel frame and required careful consideration before and during the demolition. 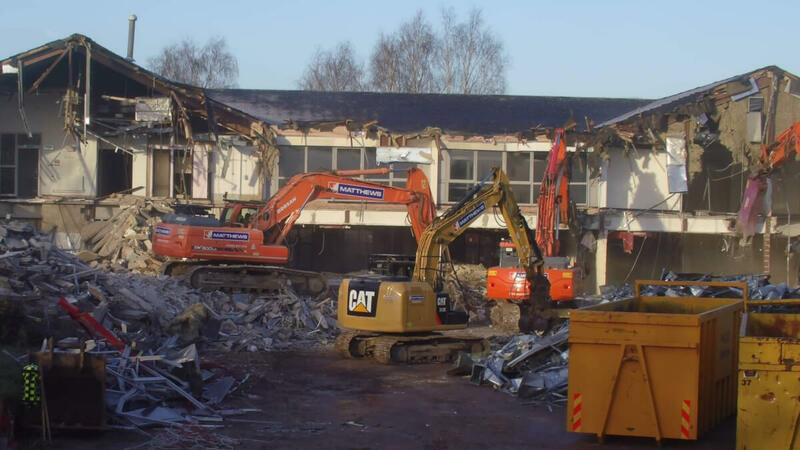 The slab and foundations were removed and crushed to 6F2 specification prior to stock piling for the client to reuse. 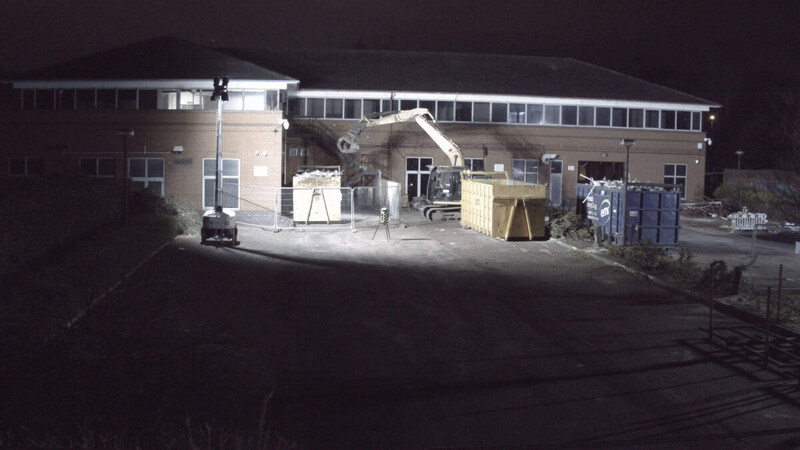 The site also contained a live sub-station which required protection during demolition.